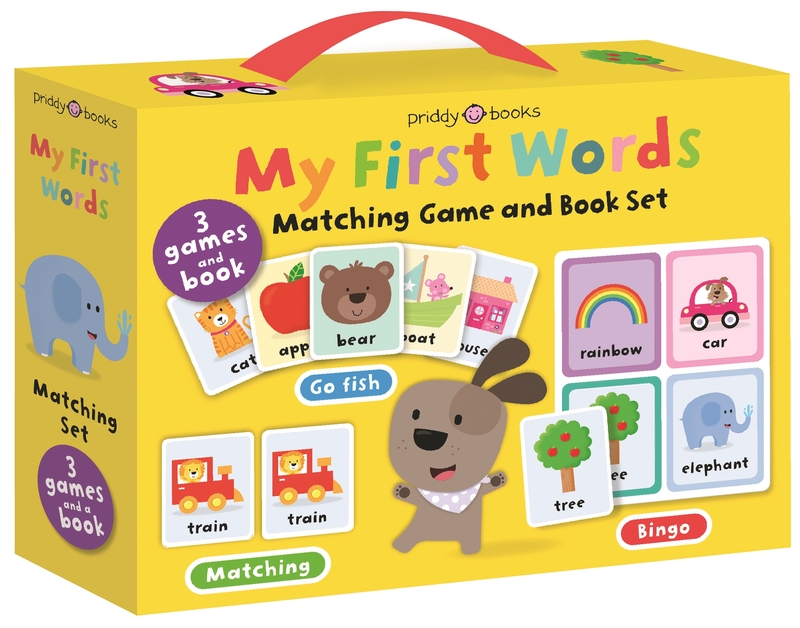 My First Words Matching Set is an early-learning play set with picture cards and a sturdy, first words board book in a carry-along case—brilliant for family fun! 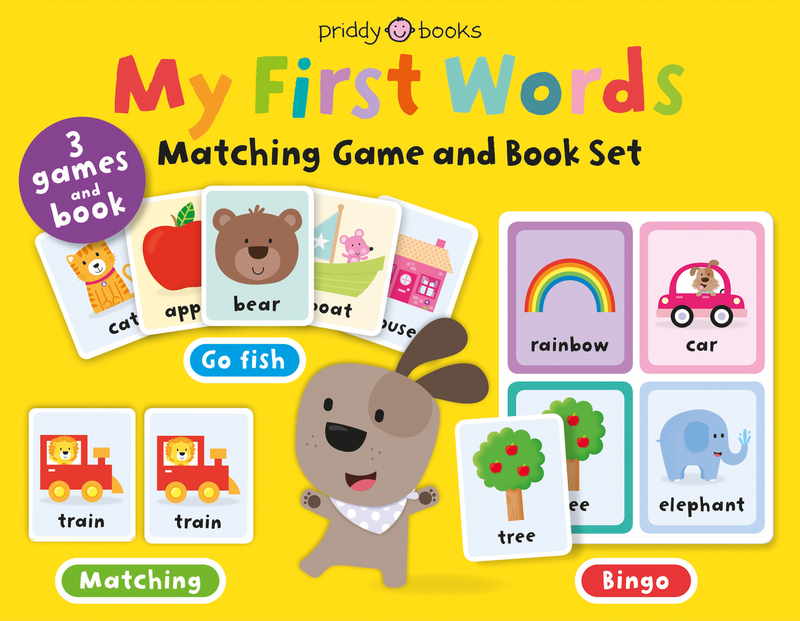 This colorfully illustrated set is a great way to build your toddler's speaking, matching, and memory skills. 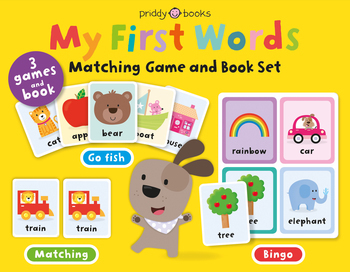 With 32 chunky cards, four game boards, and the instructions for how to play three different games: Bingo, Go Fish, and Matching, the simple game play will reinforce learning. 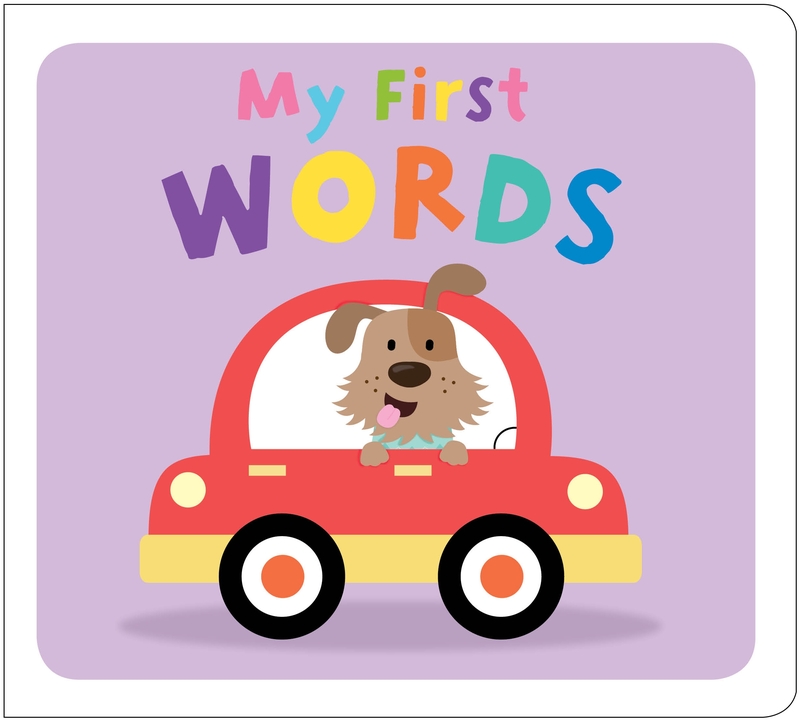 The bold text and adorable illustrations on the cards and in the book will introduce your child to a selection of everyday words. 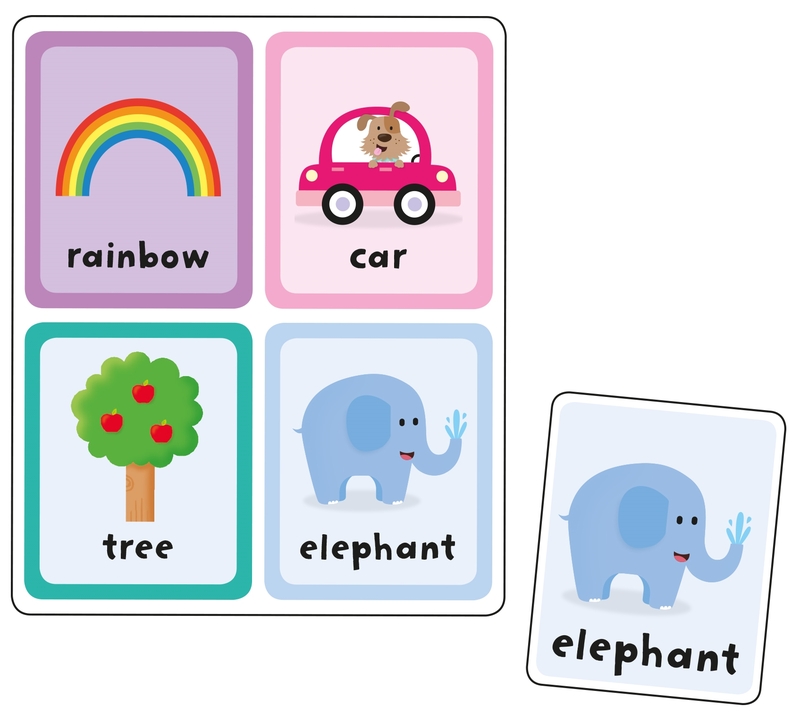 The cards can also be used for picture/word recognition acitvities and many more memory games.